Would you work the train pattern from the bottom-up? My son definitely wants one! I don’t have patience for a sweater just yet. 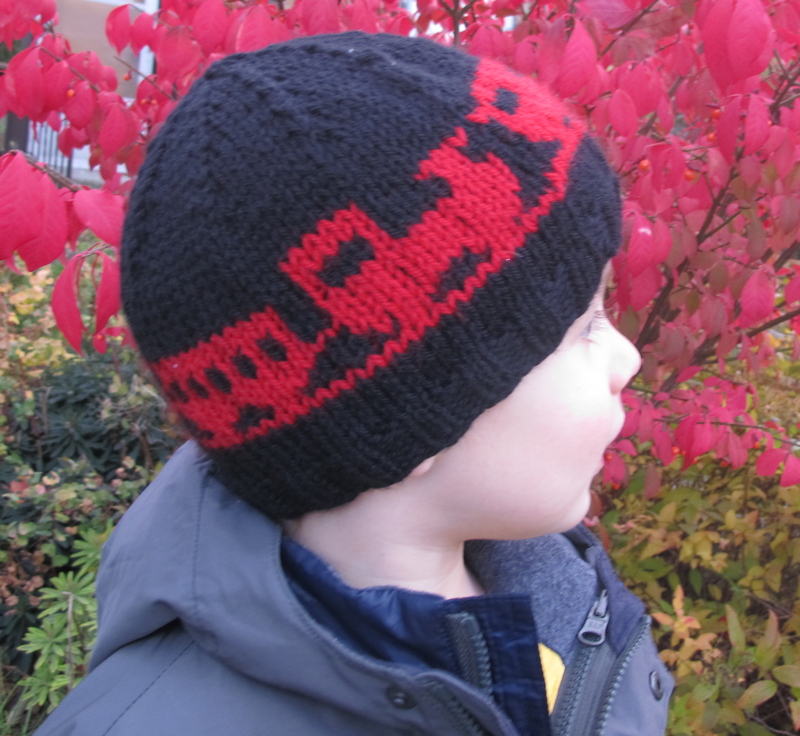 Knitting pure and simple has some really fast, simple toddler/kid patterns…I’ve been planning to use one with the train chart, but like you I just don’t have the patience right now…. That could work. It depends on how much larger. You could add another car to the train by repeating the second car. Someone on ravelry made theirs larger by making a single train and just repeating the central car as many times as necessary. Adding stitches between the cars is probably the easiest, but it makes your floats longer especially in the top rows.